The satellite-retrieved Daily Maximum UV Index over the period July 1983 to June 2007 were compared to ground-based measurements at five European sites. 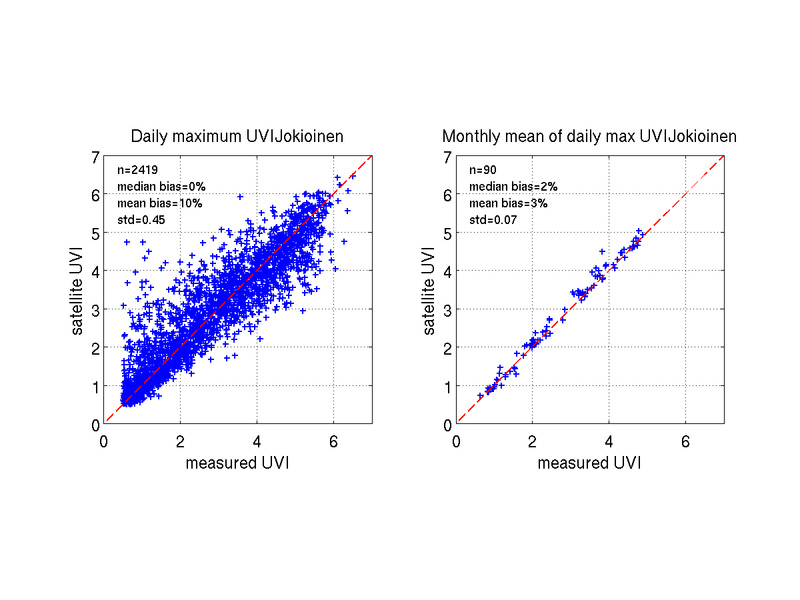 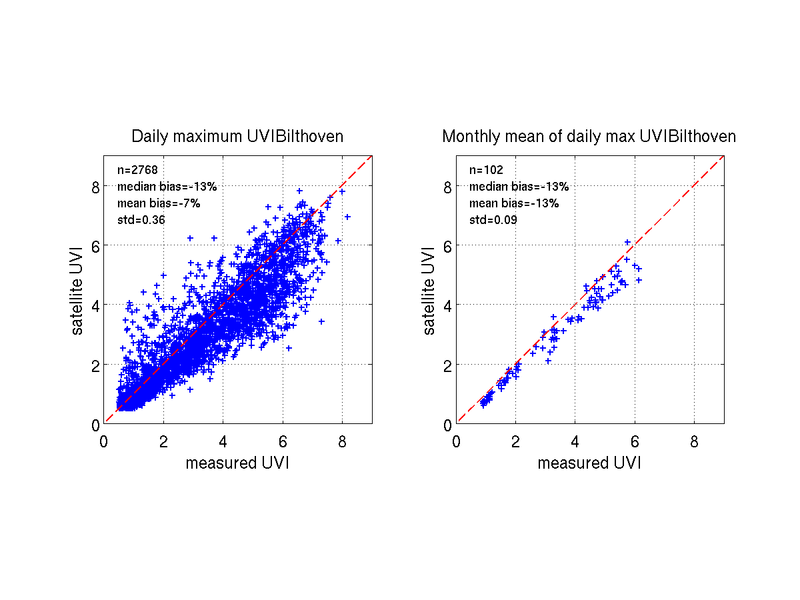 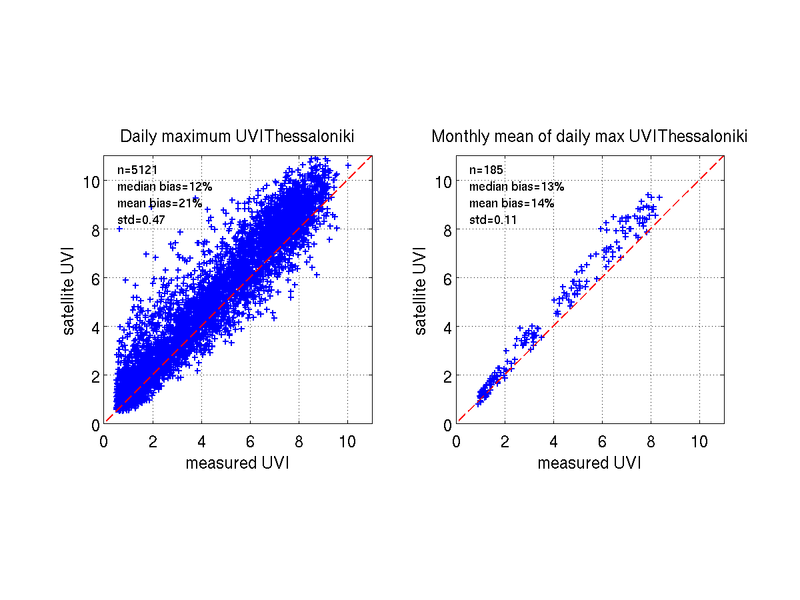 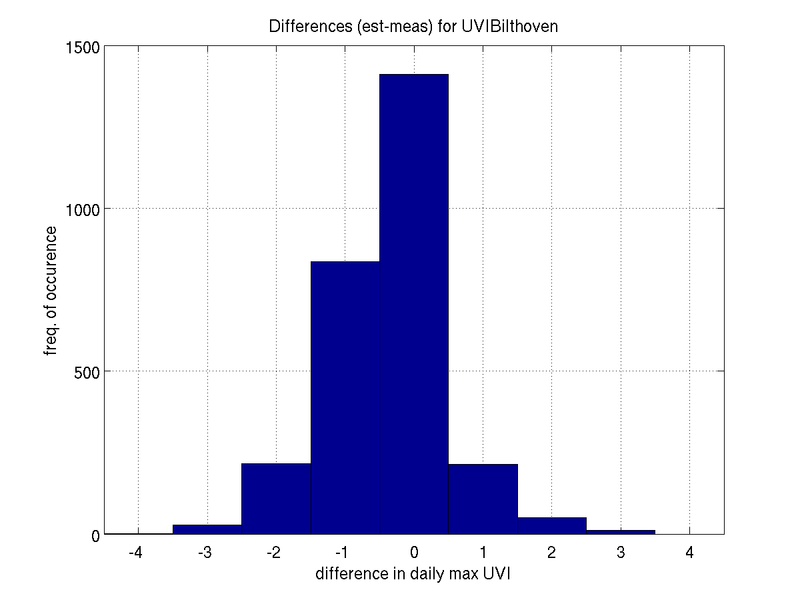 In order to mask out winter days with very low sun we applied a threshold filter 0.5 to the Maximum UV Index, so that only UVI exceeding that value were included in the validation analysis. 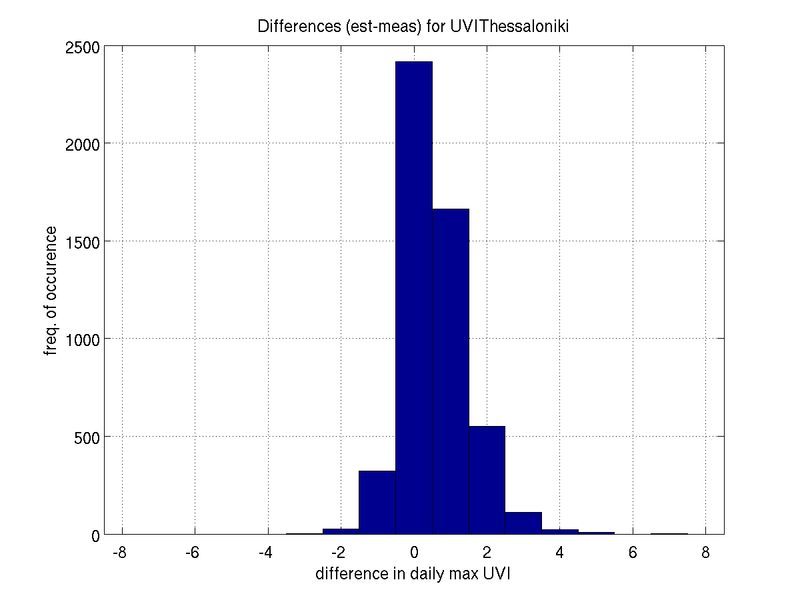 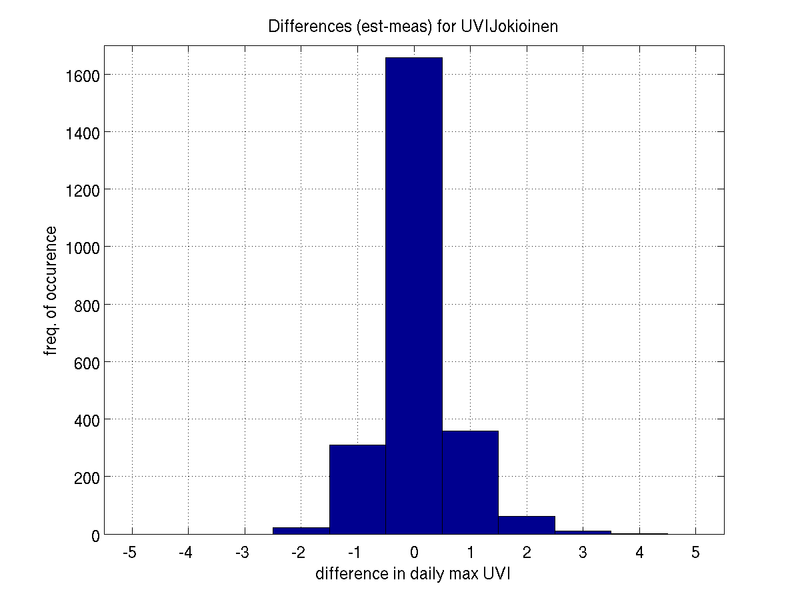 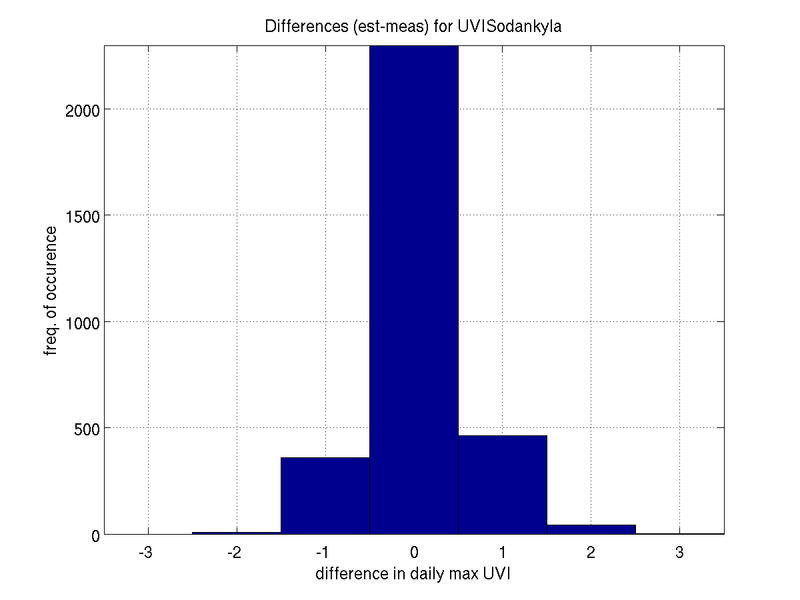 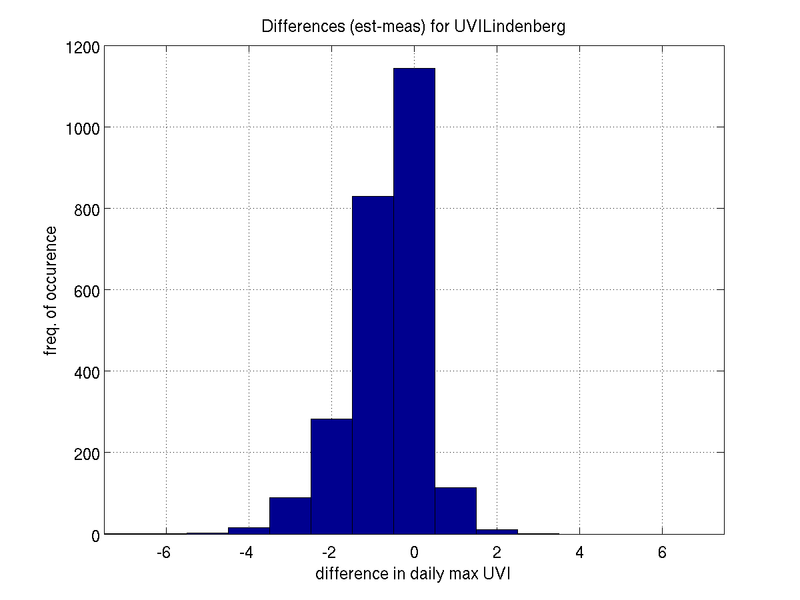 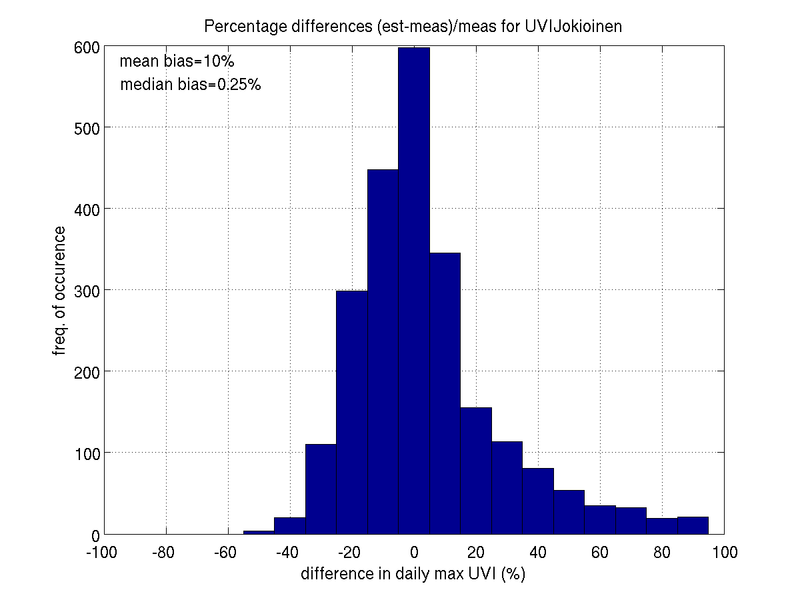 The results detailed in the table beneath show that the bias in Daily Maximum UV Index varies among the stations. In Jokioinen and Sodankyla mean bias is about +10% while the median bias is small. 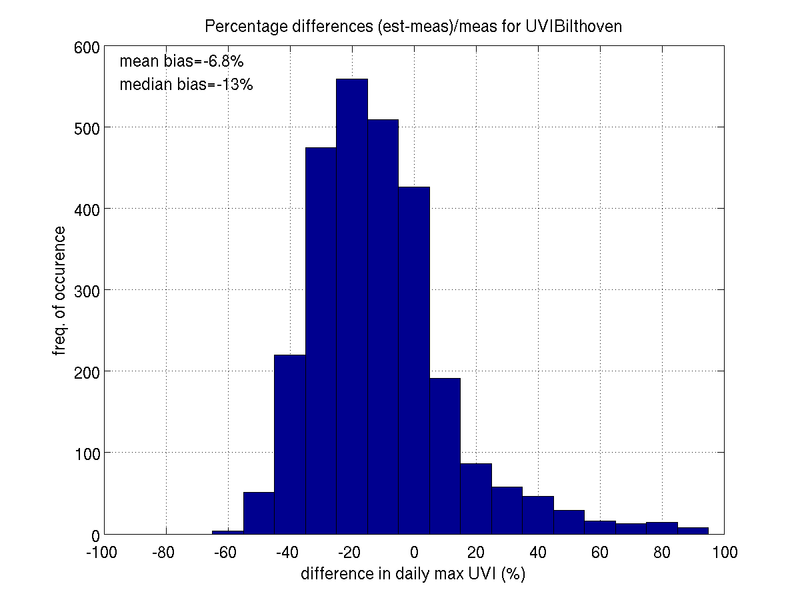 In Bilthoven mean bias is -7% and median bias is -13%. 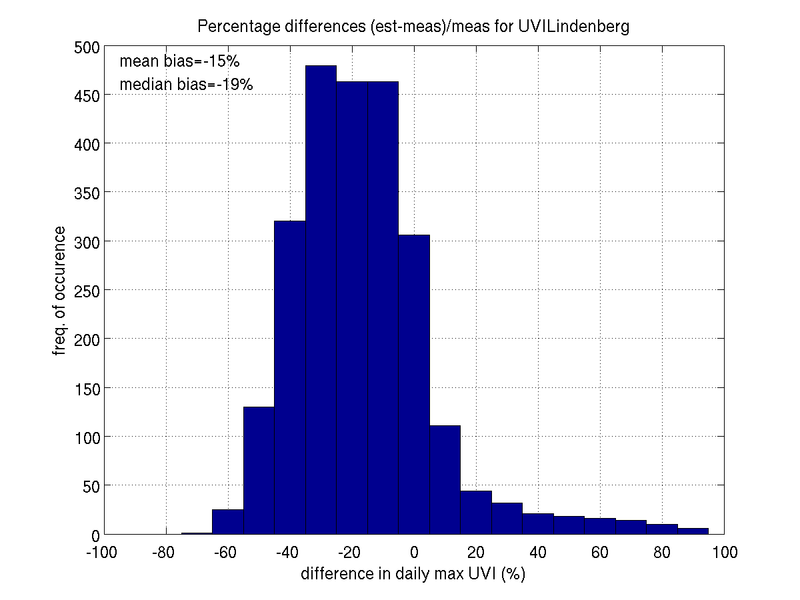 In Lindenberg mean bias is -15% and median bias is -19%. 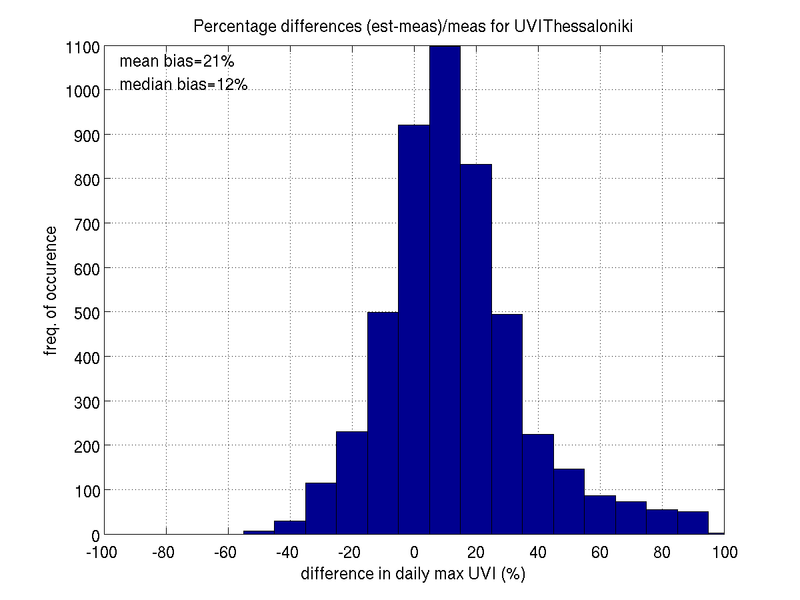 In Thessaloniki mean bias is +21% and the median bias is +12%.